Monitor your travel to multiple tax jurisdictions daily using the calendar summary showing travel days in each city and state. You can also set buffers and notifications to alert you when you’re approaching a residency threshold that could trigger a change in your tax filing. 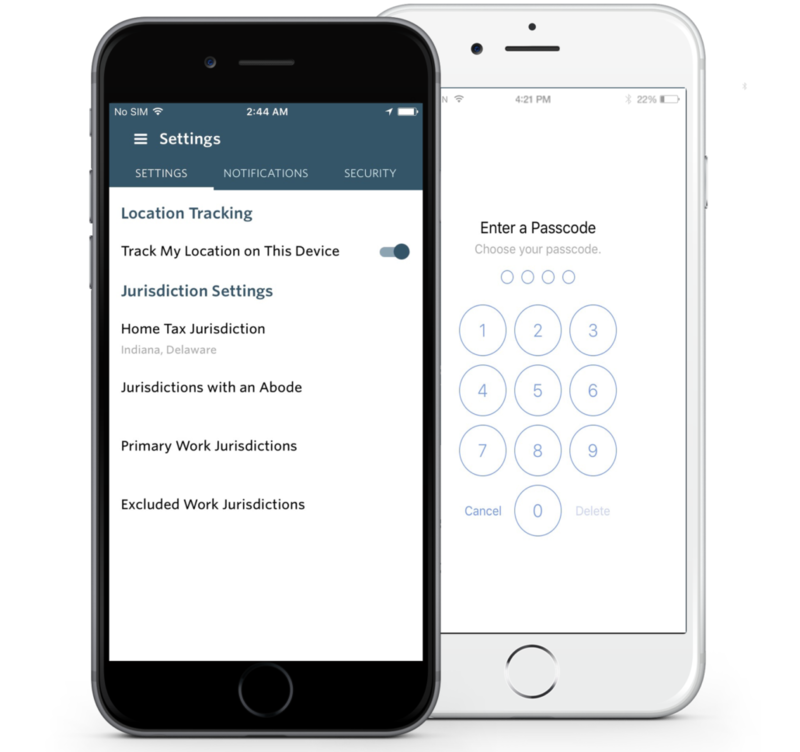 Easily review and verify each travel day logged in a jurisdiction, add additional notations or make adjustments based on your day to day life. Accurate travel records, down to the day, at your fingertips. 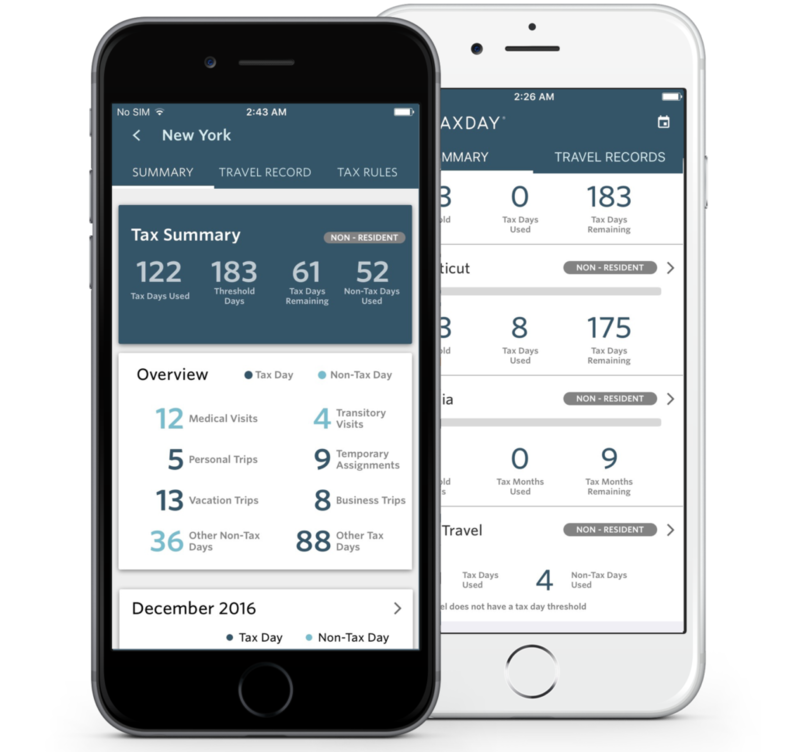 TaxDay uses your mobile device’s GPS to track time you spend in a specific city or state, not the specific locations you visit while there. You can rest assured your data is private and safe. Two homes in two different states? We’ve got you covered. 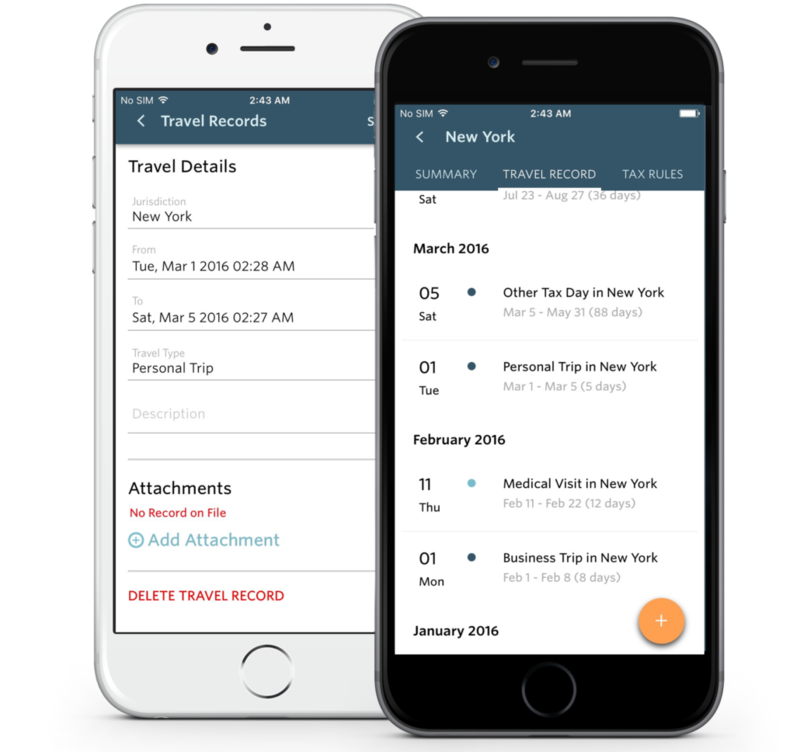 Attach flight itineraries and receipts to travel records as additional proof of your location. Take the stress out of yearly tax preparation. TaxDay lets you easily generate year end reports that provide you and your tax preparer with all information needed to file your taxes, including a summary of your travel in each jurisdiction, complete with travel records and receipts to support your residency status filing. The burden of proof just got less burdensome. TaxDay contains the complete set of tax rules for all 50 U.S. states. Defining tax residency, temporary residency, tax domiciles, and tax abodes. Helpful guidelines and referrals to tax professionals can keep you clear of unintended tax consequences come year-end.